The adoptive placement of a child by a birth parent(s) and/or the adoption of a child by a family (domestically or internationally) involves many factors and needs the cooperation of varied professionals. Below are resources that can help guide you in your adoption journey. Adoption Finance Coach for our Adoptive Parents. This is a free service we offer our clients to provide a financial coach to help create a comprehensive and customized financial plan for your adoption. Adoption Resources & Experts who Provide Medical and Behavioral Services to Adopted Children and Their Families. Listing of Medical and Behavioral Specialists, Adoption Support Groups, Adoption Publications and Professional Organizations. International Adoption Placement Agencies who Provide Child Placement Services in Various Countries. 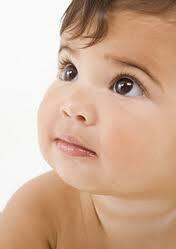 A resource for information about newborn babies health. A list of adoption agencies we have relationships with by state. Family Connections, Inc. is not endorsing nor recommending any particular service provider or resource. This listing is provided to help you in your search for information and adoption services. The decision regarding what resources and what services you use is yours.